If you run a business, then you will recognize the need for a clean and healthy working environment for your employees. 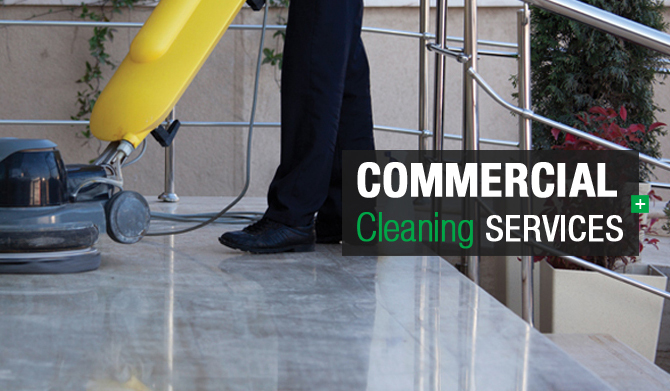 We at Green Clean HQ offer an eco-friendly and affordable Spartanburg, SC Commercial Cleaning service. We are conscious of the need to take better care of the environment and our company uses only eco-friendly cleaning products and methods. If your business necessitates entertaining new clients at your place of work, then you will recognize the effects that a bad first impression could have on your business. When visitors enter an obviously clean and cared for business environment, it affects their attitude towards you, the business owner. While we may not like it, it is true that first impressions really do count. If a client enters your place of work and is faced with grubby, littered floors and uncared for toilet facilities, you could lose that person's business. We understand how important it is to have a clean and fresh business environment. Studies show that the condition of the workplace has a considerable effect on the workers. More sick days are taken where premises are uncared for than in business premises that are bright and clean. When you choose us for your cleaning needs you are choosing the best Spartanburg, SC Commercial Cleaning service around. There is a lot of talk about the environment these days, and especially the effects that certain cleaning and waste products can have on the natural world, particularly the rivers and seas. When you choose us to undertake the cleaning of your business premises, we will only use those products that are considered kind to the environment. We hear, on almost a daily basis, the harm that certain products cause in our water supplies, which is why we, at the best Spartanburg, SC Commercial Cleaning company, use only eco-friendly cleaning products.